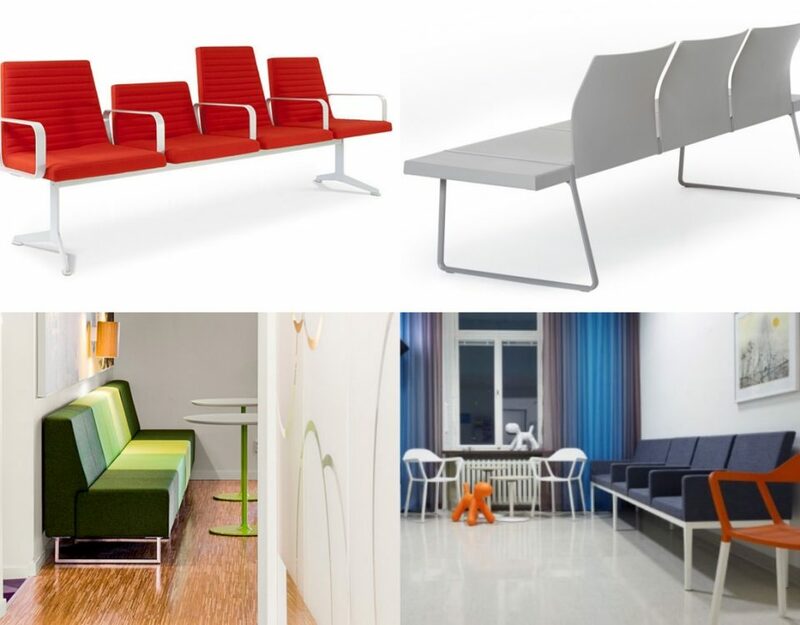 Working with a range of manufacturers across Scandinavia allows us here at Spaceist to present furniture pieces by a spectrum of designers, making a variety of styles and ranges accessible. 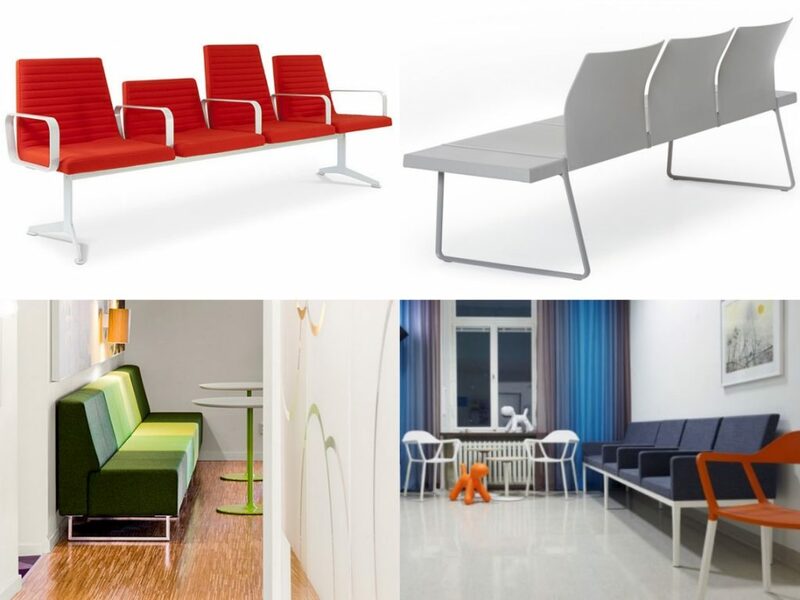 Here we present four of the key seating ranges from Johan Lindstén. Hailing from the ‘furniture kingdom’ of Sweden, Möbelriket, Lindstén focuses his work on a very personal level, forming a connection between the products, the user and the surrounding space. Lindstén’s products garner instant attraction with the use of narrative to define the finer details of each product. Characteristics of his style, Lindstén projects a level of expression and thoughtfulness into each design transforming them into the physical products we see. 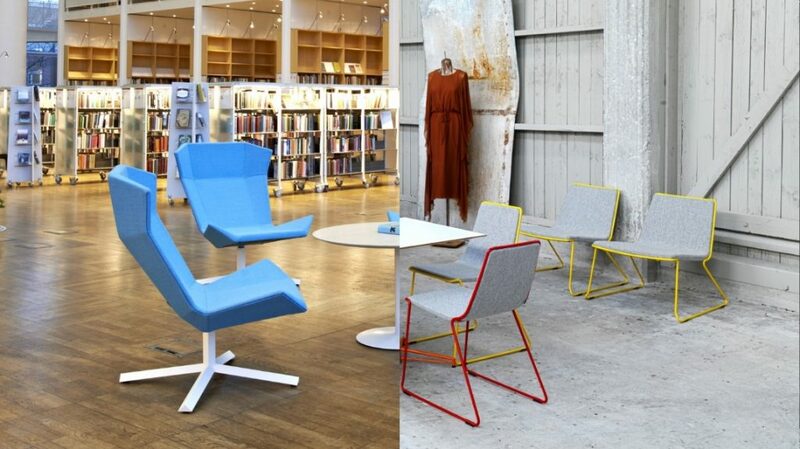 A low lounge chair, ideal for reception areas, gallery spaces and library seating, the Speed EC chair offers a district appearance. To achieve this lightweight and debonair appearance, the metal rod base extends and frames both the seat and backrest, creating a clean contrasting look. For further customisation, delve into a catalogue of over 60 fabric, leather or vinyl upholstery options for the seat. 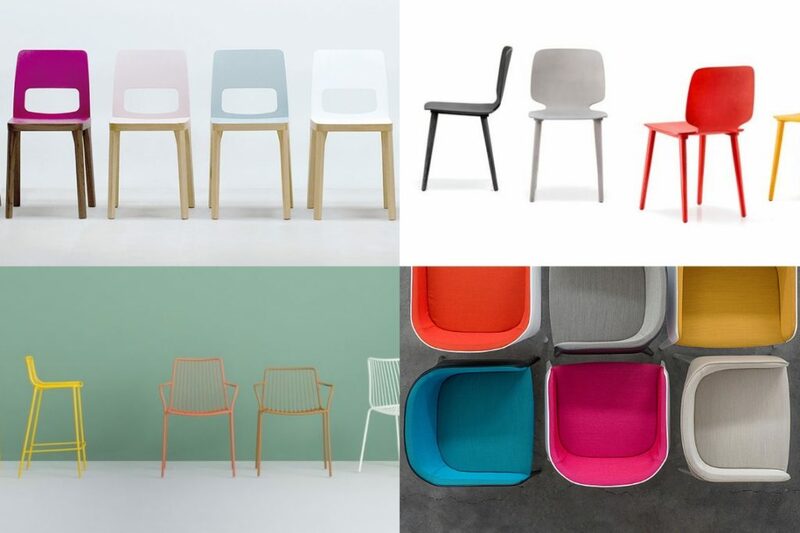 With a wide range of colours and materials, it is possible to define the chair’s appearance accordingly to the environment where it is applied. The chair frame comes in a coating choice of either chrome, black, white or other special colours upon request, giving further opportunity to play around with the many possibilities of the Speed EC chair. A highly practical yet minimal option for the workplace, the Code chair presents a seamless combination of style and function. 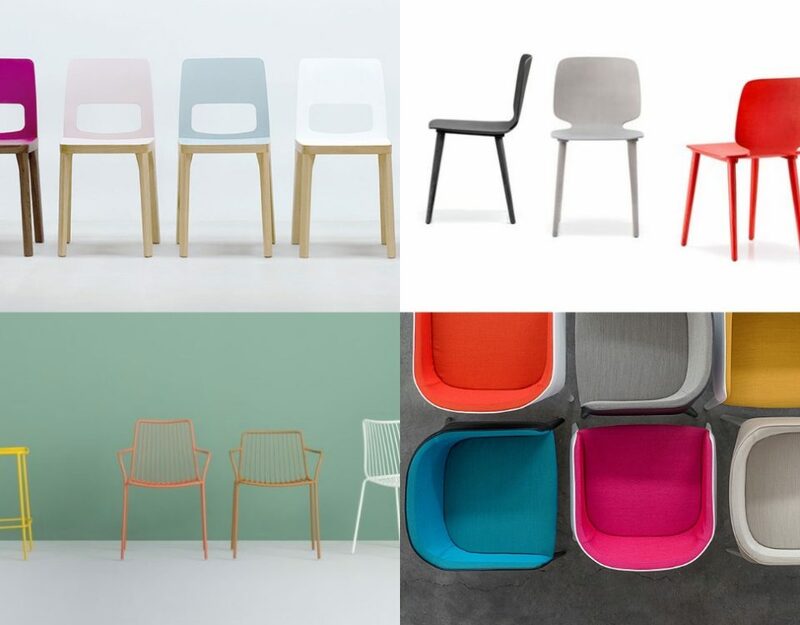 To target key ergonomic factors enhancing the chair for the user-experience, Lindstén has incorporated a special seat form into the design of the Code chair, supporting the user from the back to the base of the seat. 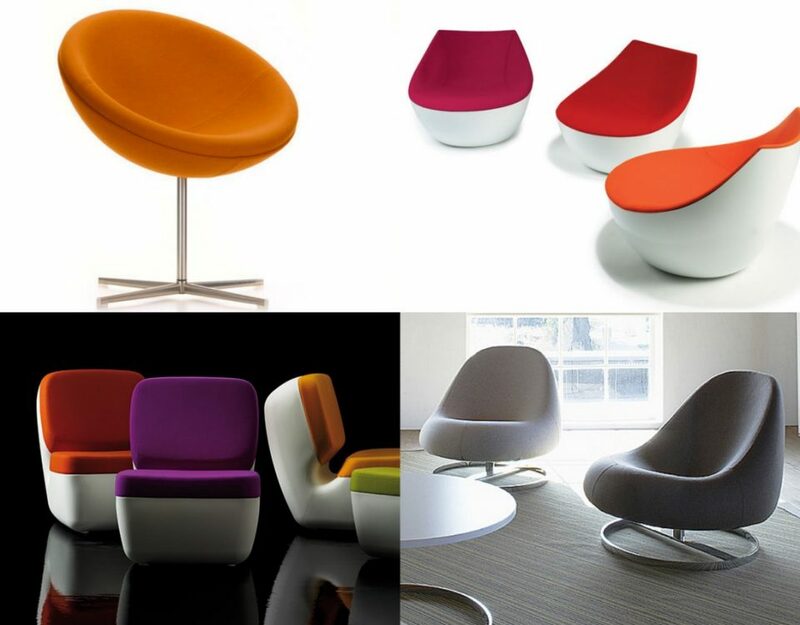 A curved and round ultra comfortable seat comes with CMHR foam seat and offers a wide range of possibilities to customise both the seat and base colours to match an interior colour scheme. Choose from a wide selection of fabric, leather or faux leather upholstery colours or for more specific projects, create a brand match seat shade. The stackable sled base comes in a classic black or white and another 60 RAL colours to choose from. 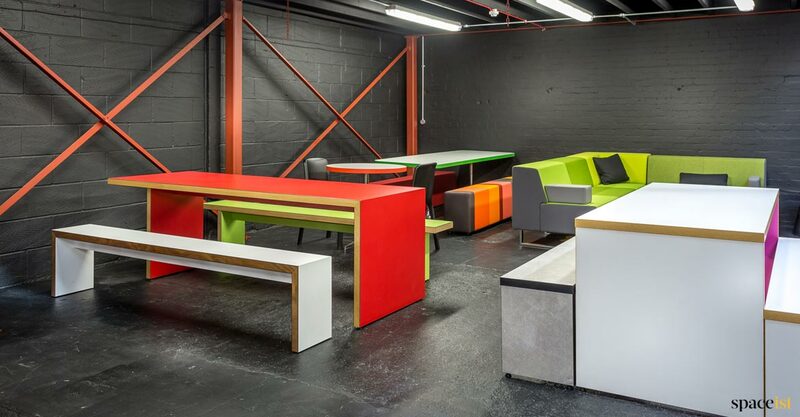 Make it as colourful and vibrant or cool and sophisticated as your project requires. For the Sport chair, Lindstén delves into the history books and the forms of sports cars in the 1960’s, with their sweeping forms and elemental detailing. The Sports chair range encompasses a sensual shape akin to sports car interiors from that era, with an arched backrest and wider, angled seat. On closer inspection, fine details incorporated into the chair, in the form of visible stitching adds a thoughtful touch. 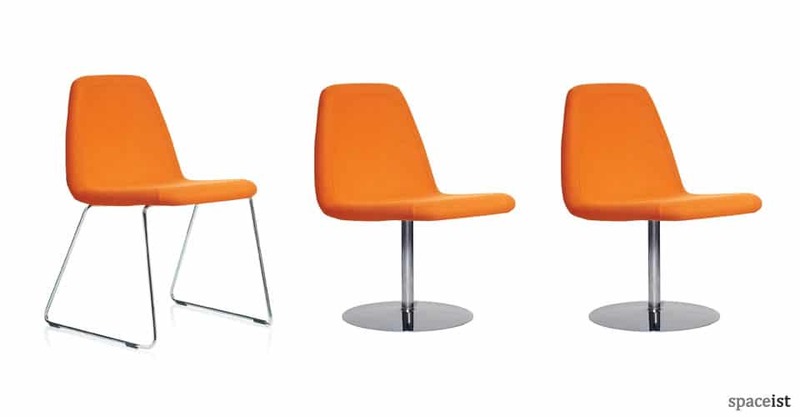 Ideal for use in numerous spaces, the chair comes with a choice of fabric, leather or faux leather upholstery, meaning the chair can be applied in both workplace settings or in a restaurant or café setting. This is further reinforced by a choice of three base options; a trumpet swivel base, a four-star base and a sled base version. An interaction between angular form and modern lounge seating, the Stealth chair is instantly inviting. With an interest in the complex nature of angles and shapes, the chair has been designed with intricate twists to allow each section to align together. 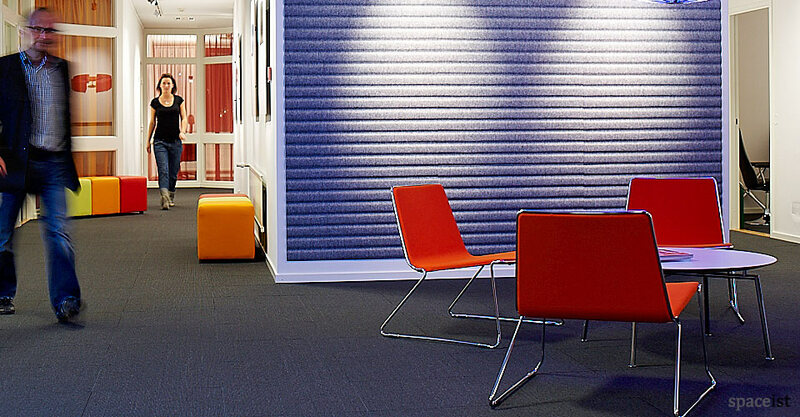 The sections that appear like ‘wings’ forms both a comfortable and privacy element, making it a highly welcoming choice for use within reception areas, spaces for reading within a library or workplace. 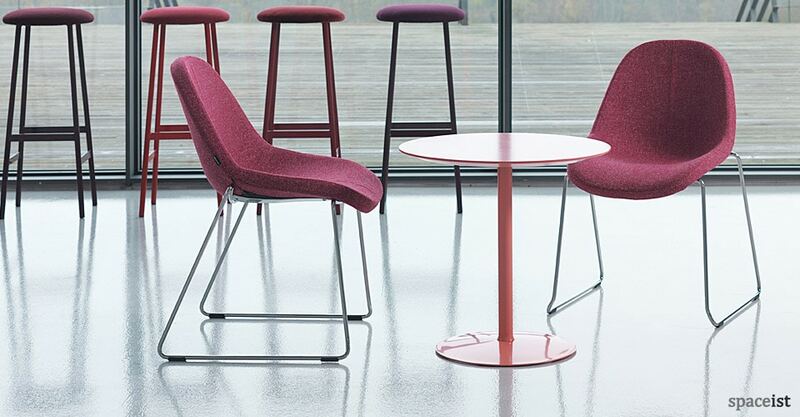 The robust steel star base comes in over 64 colours and the seat comes in a range of material upholstery choices from fabric, leather and vinyl. 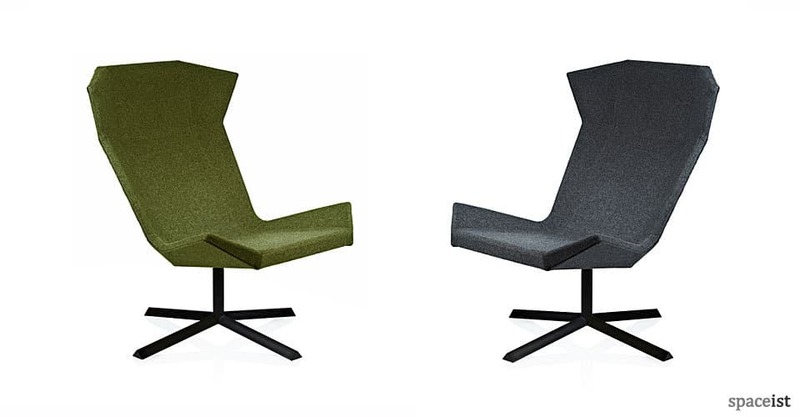 Choose from a range of modern upholstery colours to more modest shades to complete the look of the Stealth chair.